Verse: Love the Lord your God, let Him put joy in you heart. This beautifully designed photo frame can be used to display anyone's photo. 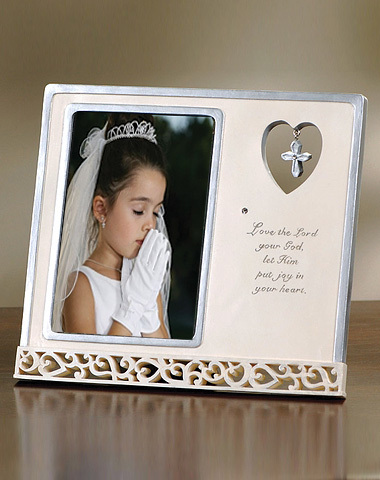 This custom photo frame has die-cut detail, a cross charm dangle and crystal embellishments. Color: Ivory and Silver brushed accents.